In Newcastle’s early colonial history rivers were gateways to exploration. Europeans travelled upriver claiming new territory – and, as a consequence, disrupted the relationship between the Aboriginal inhabitants and the river that provided them with food and transport. Eventually exploration gave way to commerce. 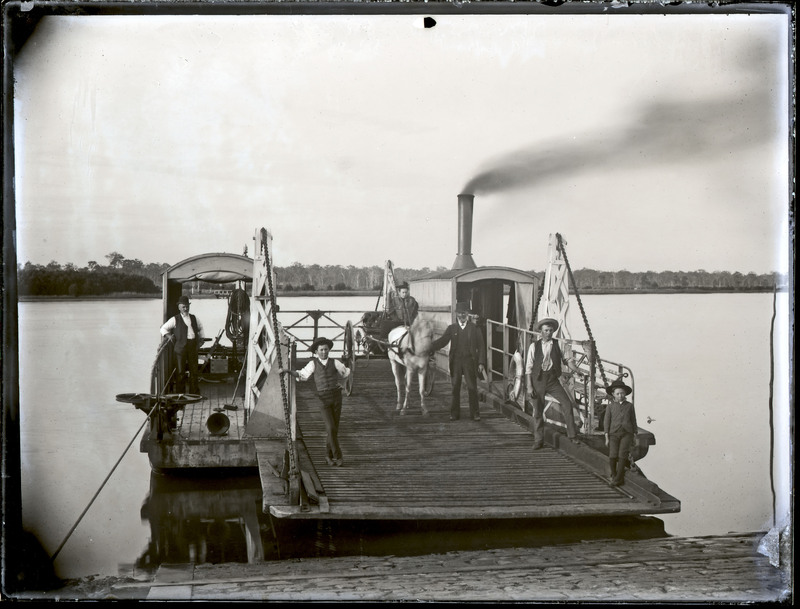 Goods, timber, lime and coal were steamed down the river from Morpeth to Newcastle and Sydney. 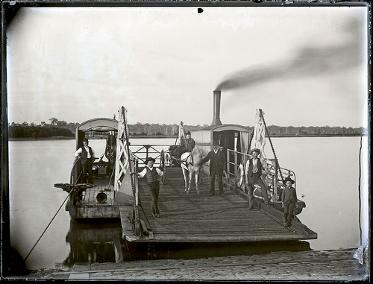 Punt, Hunter River, Hexham, 21 June 1894. From the Ralph Snowball/Norm Barney Collection, University of Newcastle, Cultural Collections.